After five years of using traditional fingerprint scanners, Samsung is preparing to make the switch over to ultrasonic in-display alternatives with its Galaxy S10 series. But according to one case manufacturer, this move may bring one notable drawback. For most people, the lack of screen protector compatibility is unlikely to be a deal-breaker, but for some who prefer to protect their phones entirely, the news may come as a bit of a disappointment. Despite the bad news, consumers interested in the cheaper Galaxy S10E can rest assured that screen protectors won’t affect day-to-day use. After all, unlike its premium siblings, this model features a side-mounted fingerprint sensor. Hope this changes for the note...this is a huge deal breaker for me. Screen protector is a must. Depends on the thickness of the screen protector used actually. The thin foil ones shouldn't be any problem. Supposed 0.3mm thick screen protectors should still allow it to work. My guess is that those won't work too because of the scratches they pick up. It's all speculation at this point so we'll have to wait and see. Companies that manufacture these ultrasonic fingerprint scanners have tested various screenprotector thicknesses and they do work up to certain thicknesses as I mentioned before. It probably doesn't work because the gap/adhesive between screen protectors and screen dampen the ultrasonic waves. The thickness is unlikely to matter. Not a fan of screen protectors, plus I'm not a klutz so no big deal for me. They do happen. But after 12 years of owning various phones/smart phones, I have yet to drop one. ehh just dont drop your phone, its that simple. It's not just about drop protection. Dust, sand, and other tiny particles can occasionally be hard enough to scratch the glass. Unless you never set your phone down on a hard surface you need something to keep it safe (even just a skin and only setting it down on its back). That’s great if you don’t have a toddler. Yeah, keep it away, I know, but he’s devious and sneaky fast. Lol, what a flop implementation. Pretty much everyone use screen protector. This is total deal breaker. But I assume S-boys will find ways to defend it. I've never used screen protector so I don't care. I'm not buying the best display with gorilla glass just to cover it with some goofy screen protector. If an iphone has fingerprint scanner and won’t work with screen protector, then the outrage would be 1000%, just like removable battery, 3.5mm jack, and so much more. But when an android does something like this, then its just common to accept things just like this. Simply who cares!!! 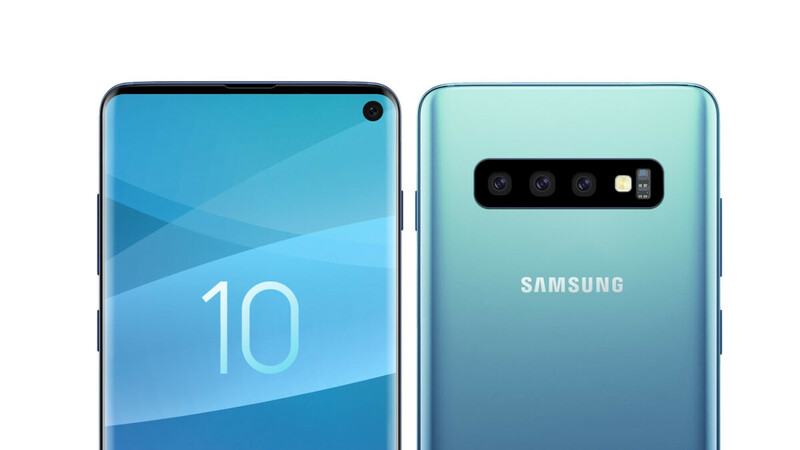 Anyway, this would fail as to many people would go for Note 10 then when note 10 comes then they would be excited to S11. In reality, they don’t have money to buy, just want to feel that they can. Tell us more about how the fandroids are ruining the comment section! when oneplus, huawei or any other android phone perfectly implements this technology then apple will simply copy that, so you don't have to worry much. Well, it seems that the side-mounted fingerprint S10 E will be a best-seller. Looks to have excellent specs and be around 8mm shorter than the S9. Haven't used or needed a screen protector for years. I can see this being a problem for children and people with Parkinsons but overall shouldn't be a big deal. Are you dumb, stupid or slow? Something factually incorrect about my statement? I am not a child or do I have Parkinson's yet I won't use a phone unless it has a screen protector on it. Scratches buildup on the screen with usage. I keep my phone in my pocket and without a screen protector, even deep scratches can occur. I do too. But I don't have these issues. End of the day, if a screen protector is important to you, buy something else. It was difficult to get any decent screen protector for Samsung flagships anyway. It's not a big deal at all or they wouldn't be selling. what the hell do you keep in your pockets with your phone?